Prophecy is a subject which has been important since the Caveman. 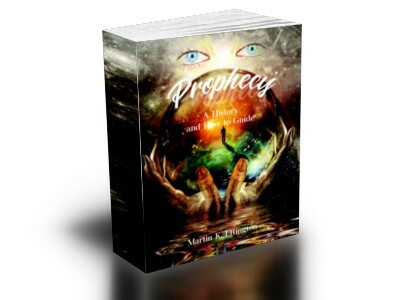 In this book the history of Prophecy and Prophets is discussed. Then some personal experiences are reviewed. Finally, a theory of how it works and practices you can try to enable your future seeing ability are described. Have you ever had a glimpse of the Future? Maybe you dreamed something would happen and it did, or you had a vision of a relative dying and it came to pass as you saw it. You are not alone. Millions of people worldwide glimpse the future everyday—but most of them hide their experiences for fear of being called crazy. In my book “Prophecy: A History and How to Guide, I document many persons throughout history (famous and not famous) who were able to see the future. You will see that you are not alone and you are not crazy. Can I Learn to Control and/or Develop my Ability? Yes—You can learn to control and harness the ability to foresee the future. In fact, would you believe that by learning to see our futures we can also learn to control and direct it? I know this sounds fantastic, but it’s true. Because I’ve had many types of premonitions of the future throughout my life so I know whereof I speak. In my book I go into details about my experiences, a theory of how prophecy and work, and an important practical aspect—how you can learn these abilities for yourself. My exercises for seeing the future are based on practical experience over many years, plus information from some of the top books I’ve read over during my life. One major benefit to seeing the future is that you can change it. The future is a set of probabilities which are not fixed until the event has happened. Changing the future is not easy due to what I’d call the “Momentum of Events”, but it can be done. Being able to change my future has saved my life more than once. You can also learn to direct your own future through techniques I provide in the book. Why settle for random events happening in your life when you can choose your own goals and make them come true. Below I provide examples of some of my experiences, and more information on what you will get with the book. After my lifetime of experiences and study I strongly believe that we all have the ability to see the future. This is since our spirit’s consciousness really lives outside of time and space. We can learn to center ourselves in the spirit, and when we do so, some amazing things occur. I encourage you to learn more about this subject by either trying my Free ECourse or reading the book. I’m one of those persons who has had visions of the future for most of my life. Some of them were very vivid and happened exactly as I saw them. Once I was meditating and was in the middle of a surf board accident in Cape Cod in the summer of 1976. Two weeks later it happened exactly as I saw it. Other events were part of my dreams for years. I must have had ten dreams during the previous several years about being in a tropical resort when a huge Tsunami hit. After the Tsunami in the Indian Ocean in 2004 my dreams stopped. I also had very dark feelings several times about buying a plane ticket to Spain in 1998. With a difficult force of will I didn’t buy the tickets even though I wanted to be with my family very much. The Swissair plane I would have probably been on crashed in Newfoundland Sept 2, 1998. The day I thought would be my death. These events and many others are some of the reasons I wrote this book on Prophecy. I read and studied deeply on the subject in addition to my own experiences and believe that I am not unique. You will learn to avoid accidents. I’ve had many experiences where I avoided accidents a few seconds to weeks into the future by being tuned to your personal future. You will learn to see major future events. When you are attuned to the future and you keep dreaming about the same event, you will know it is a real big potential event. You will be able to tell other’s futures by projecting yourself forward into their time stream. 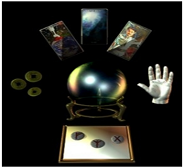 Prophecy: A History and How to Guide covers the history of prophecy and divination so it gives you a historical perspective on the skills for fortelling the future. Also, the Author has extensive experience with many types of premonitions and future dreams which came true. The value of this personal experience helps you understand what are valid premonition experiences and also he has knowledge of how to learn to do prophecy yourself. Finally, building your skills in prophecy can help you avoid disasters and uncomfortable situations.